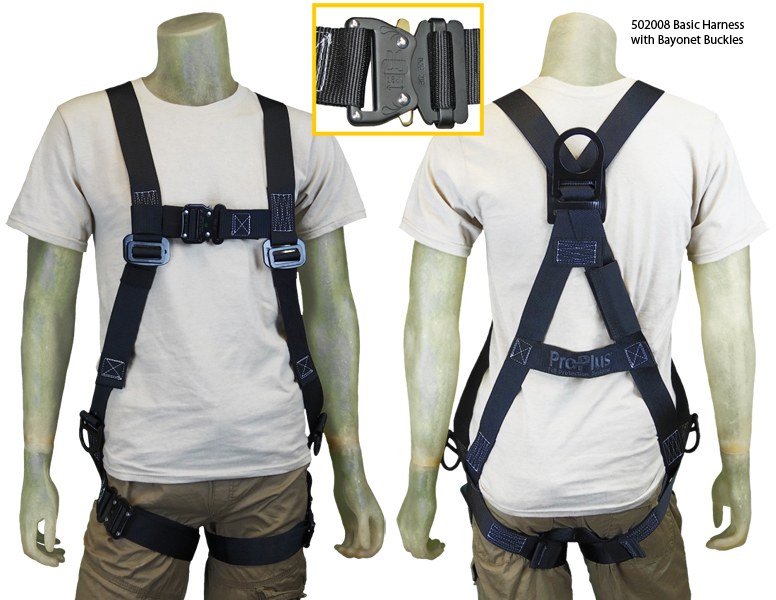 The ProPlus Basic harness is a general purpose, full-body fall arrest harness for use by those working at height. The Basic Harness features a 2" steel dorsal ring, allowing for SRL or lanyard attachment and rescue. This harness is ideal for everyday use in indoor and outdoor venues.